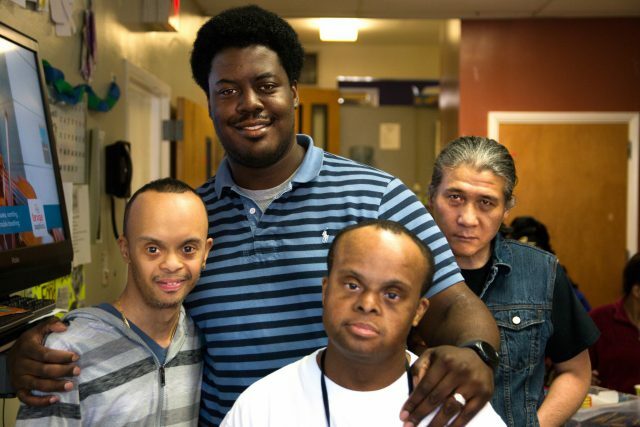 “It’s really been our job to learn what our individuals need,” said Connie Massey, Coordinator of HeartShare’s Avenue L Day Habilitation Program. Avenue L is a newer addition to the HeartShare family of services. NYS recognizes HeartShare as a high quality, accredited provider, which is why we were awarded contracts when FEGS, a peer non-profit went bankrupt last year. “Our program participants have been here for decades. We’re the ones who are ‘new to town’,” explained Massey. Connie describes the program as a safe space, where each of her individuals have grown in the past year. “We persisted in finding what sparked their interest,” said Connie. Sam loves to work on the computer, so the team worked with him to make that time productive. “He’s our official researcher,” shared Coordinator Jason Quinerly, who had Sam research a lasagna recipe earlier in the day, while the rest of the individuals put the recipe into action at lunchtime. It also helps that Jason, a former FEGS employee, has been at the program for 7 years (pictured above, left). Jason started at the program when he was fresh out of college and has since been promoted. “We’ve developed a strong bond with our individuals and their families,” explained Jason, who provided ongoing assurance to parents and guardians during the transition to HeartShare management. 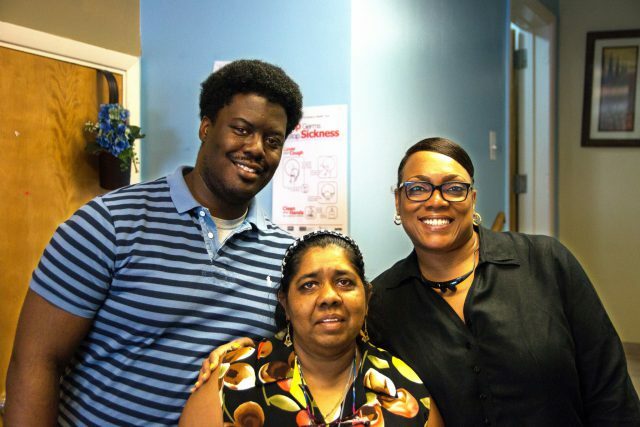 Jason knew one program participant, Jenny (pictured above, center), since 1996. Jason bonded with Jenny, working with her to explore the cooking, music, as well as arts and crafts of her native Guyana culture. Through this strong relationship, Jason identified Jenny’s ability to work. As Jason’s assistant, Jenny answers the phone, takes messages and makes copies.